Bamboo is made from a fuzzy black material with large green and black button eyes and a black button nose. His head is white with black patches around the eyes and his belly is also white. He has green on the inside of his ears. 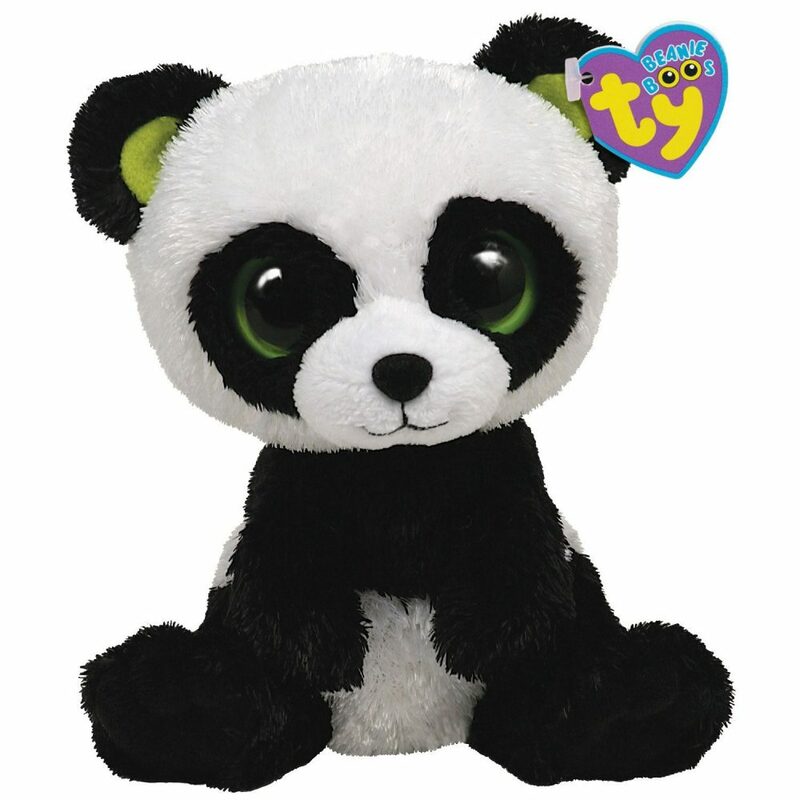 Bamboo the Panda was introduced on 1st October 2009. This is the second version of Bamboo to become available in the UK, and the first US Bamboo the Panda release. The only difference between the first version and this version are the swing tags and tush tags.